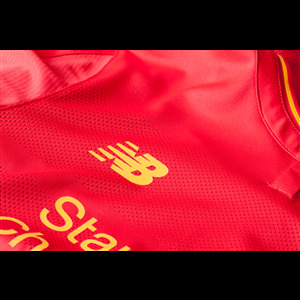 For the latest Liverpool jersey, New Balance returns a sleek design in red and added yellow. 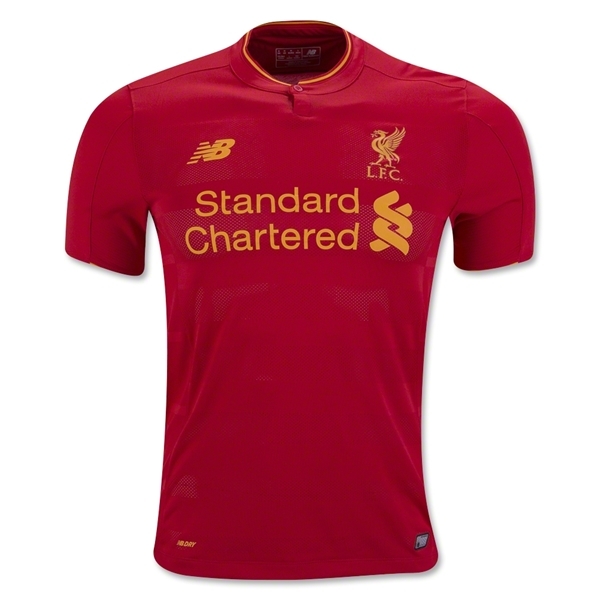 The home jersey has a modern one-button henley collar. A subtle hoops pattern features alternating mesh strips. Team and sponsor logos are heat pressed on the front. 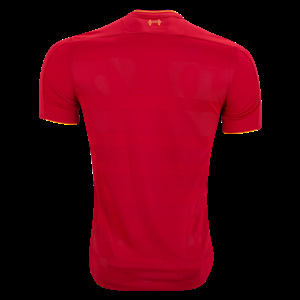 A tribute to the Hillsborough 96 is printed on back collar. 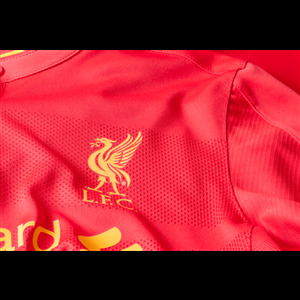 "There's No Noise Like The Anfield Noise" is printed inside the back hem. NB DRY technology for moisture protection. 100% Polyester.